Mass Maharaja Ravi Teja is currently gearing up for his next film. There is a lot of buzz surrounding his film but the latest buzz reveals that Anil Ravipudi will be directing the film. The film is going to kick start the regular shoot soon. The script work has been completed. The buzz reveals us that Ravi Teja will be seen as a blind guy in this movie. 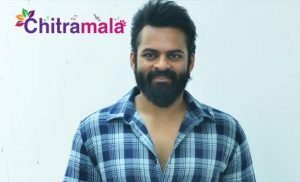 Earlier Anil Ravipudi was supposed to make the film with Ram Pothineni which did not happen. Later Anil pitched the concept to several heroes but nothing really worked out. Finally, Ravi Teja came on board for the film. Dil Raju will be producing the film on Sri Venkateswara Creations banner. Mehreen who made her debut with Krishna Gaadi Veera Prema Gaadha is acting in the female lead role. The makers are planning to title the film as Raja The Great. More details about the film are going to be out soon.